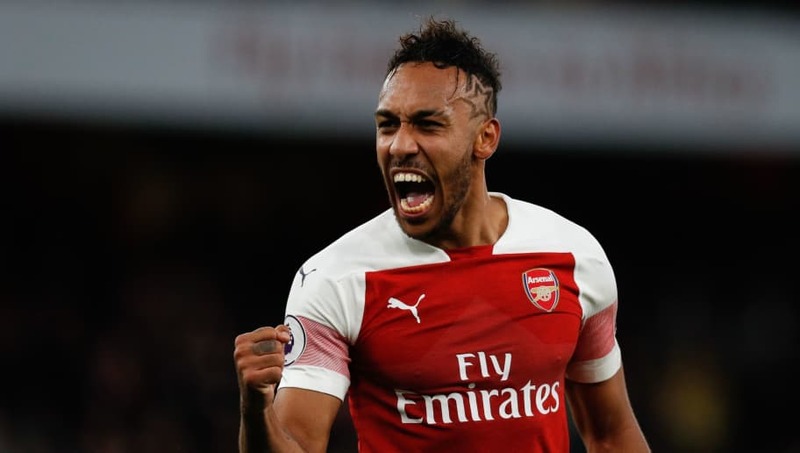 Newcastle and England legend Alan Shearer has praised the Premier League's top-scorer Pierre-Emerick Aubameyang, crediting the Gabon international as a 'natural goalscorer'. Shearer was speaking following the north London derby as ​Arsenal performed a demolition job over arch-rivals ​Tottenham, running out 4-2 winners. ​Aubameyang scored a brace in the clash and his finishing ability clearly impressed the Premier League's all-time leading goalscorer. Shearer wrote for ​The Sun on Arsenal's impressive performance against ​Tottenham, saying: "They have gone 19 games unbeaten now and what Emery is doing is very impressive. Of course, it helps when you can call upon a goalscorer like Pierre-Emerick Aubameyang. "I was sat with Ian Wright all day yesterday and I joked to him that he’s the best striker ​Arsenal have ever had! Aubameyang is the Premier League’s top scorer now and his last ten shots have all resulted in goals. "The way he curled the ball into the corner first time to score his second goal against Spurs just stank of confidence and belief whilst his movement off the ball is a nightmare for defenders because he loves running in behind," he added. ​Aubameyang has been a massive hit in north London following his £57m move from Borussia Dortmund on the final day on the January transfer window. The Gunners knew they were paying for a proven goalscorer after to his tenure at Dortmund, but his seamless transition from German to English football has been incredible. The club's record signing recently became the quickest player to reach 20 goals in Arsenal's history when he achieved the feat in just 31 games - nine fewer than a certain Thierry Henry. Aubameyang is now starting to get the credit he richly deserves as he sit's top of the ​Premier League's goalscoring charts.